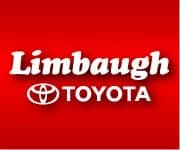 Limbaugh Toyota knows that drivers around Birmingham, AL, are looking to get the best price on their next used vehicle. That’s why you’ll find incredible deals, heavy discounts, and amazing specials on our large selection of pre-owned Toyotas, along with vehicles from countless other manufacturers. While striving to provide you with some of the best prices in Central Alabama, whether through our pre-owned vehicle specials, our used cars priced under $10,000, or our used inventory, you can find countless ways to save when you visit Limbaugh Toyota. In addition to unbelievable prices, we aim for perfection with our customer service and selection. We want you to have the ability to choose from a variety of makes, models, mileage counts, and more when you visit us in Birmingham. Our managers travel all over the region so we can provide you with some of the best used vehicle options that are as close to new as possible. While the Camry has long been a favorite of many Alabamians, a used 2017 Camry pulls out all the stops, offering drivers just about everything they could want in any vehicle – new or used! For a virtually unmatched driving experience, the 2017 Camry was designed to give you a responsive ride, impressive safety, and convenient technology. If this sounds like what you’re looking for in your used car, then it’s time to learn more about the 2017 Camry, starting with its refined build. Sculpted is one of the best ways to describe the 2017 Camry’s exterior. With slanted headlights and a wide front grille, the Camry is instantly distinguishable from other models in its class. As it’s also slightly narrower and shorter than other midsize sedans, the Camry is easy to maneuver in even the tightest spaces. Despite being a midsize sedan, the 2017 Toyota Camry provides an unbelievable amount of room inside. With exceptionally comfortable seats throughout, the backseat is spacious enough for adults while also providing a great amount of headroom for taller passengers. The trunk comprises an ample 15 cubic feet of space. You’ll also find a number of standard comfort features inside including a titling/telescoping steering column and power driver’s seat. Those standard features continue with a host of infotainment technology that come with Toyota’s Entune infotainment. This system provides you with a standard 6.1-inch touchscreen display, auxiliary input, Bluetooth®* technology, USB ports, and voice command. If you’re not already impressed, then the available safety equipment on the 2017 Camry is sure to win you over. You can find a used 2017 Camry with a list of available safety features, including Lane Departure Warning, Forward Collision Warning, Blind Spot Monitoring, and Autonomous Emergency Braking. All of these features are designed to keep you and your passengers safe, while earning exceptional ratings in crash test results. Finally, along with the safety you desire, the 2017 Camry is going to provide you more than adequate power. With the standard 2.5-liter 4-cylinder engine generating 178 horsepower and 170 lb-ft of torque, you‘ll have plenty of pep on city roads and highways alike. Used Camry models equipped with the optional 3.5-liter V6 will get an even more energetic 268 horsepower and 248 lb-ft of torque. Regardless of the engine, it’ll be paired with front-wheel drive and a 6-speed automatic transmission. Trust us, either way, you’ll have plenty of power to get you where you need to go. If a used Camry sounds like it may just be the car for you, then it’s time to visit Limbaugh Toyota! We’re just a few minutes from downtown Birmingham, making us convenient for drivers all over Central Alabama. While our team can help you find the used Camry that’s just right for you, we can also help you get the financing you need, even if you’re credit isn’t so great. Go ahead and apply for your loan online now to get the process started. Better yet, visit us today and let one of our highly knowledgeable associates get you behind the wheel of your used Camry!